We're proud to be members of the Royal Institution of Chartered Surveyors (RICS), specialising in providing high quality property surveys for homes and business across East Anglia. From our office in Bury St Edmunds, we offer professional property surveys across Suffolk and beyond, with expertise on properties in Cambridge, Ipswich and Norwich. 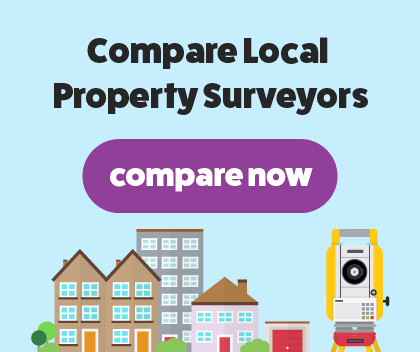 We offer both RICS HomeBuyer Reports and Building Surveys to our customers and clients. These are the best possible tools for a prospective home buyer to ensure peace of mind and absolute clarity ahead of their investment. Buying a house is one of the biggest financial investments you can make, so it's vital you know about any and all hidden defects that may affect your decision. The RICS Building Survey is also known as a full building survey or structural survey, and is the most in-depth inspection available for residential properties. The survey is designed for old properties, listed buildings, properties built in unconventional materials, heavily altered homes, and dilapidated buildings. Our RICS Chartered Surveyors will conduct a detailed, in-depth survey of your property, detailing any hidden defects in all accessible areas. The report is easy-to-read, and will explain in detail any areas which need maintenance or repair, so it vital for prospective home buyers looking to purchase an unconventional property. Our RICS Building Surveys are reliable and competitive, and will allow our clients to be fully informed about the property in question. A comprehensive survey of all accessible parts of the property, the home buyers survey is formatted in a RICS standardised, easy-to-read way. Our RICS Chartered Surveyors will inspect the condition of the home, providing professional comment on each structural element through a traffic light rating system. The report also includes an open market valuation, which reflects any defects and the current and future local property market conditions. HomeBuyer Report is designed for new properties built in conventional materials and methods, and homes with no obvious structural defects. For older properties or houses with serious defects, we recommend the in-depth Building Surveys.